How Kwara is Reaping Fruits of Synergy With Federal Government – Royal Times of Nigeria. It’s a statement of fact, that no government can succeed in isolation. Hence, the need for collaboration and partnership among the three tiers of government is critical towards achieving the developmental goals in an emerging democracy like Nigeria. The United Nations also emphasised the need for government, agencies and organisations to collaborate by dedicating a goal (goal 8) of the defunct Millennium Development Goals (MDGs) and Goal 17 of the Sustainable Development Goals (SDGs) to collaboration and partnership for development. The story is also the same in Nigeria, especially with the kind of federal system in practice. Achieving developmental objectives might be difficult for state governments without effective collaboration with the Federal tier and its agencies and parastatals. Therefore, the good disposition of the Kwara State Governor, Alhaji AbdulFatah Ahmed towards the Federal Government and his readiness to create a synergy that would fast-track development and improve the welfare of the populace is justified. Governor Ahmed since the inception of his administration has shown high-level commitment to partner the federal government and others to accelerate the development of the State of Harmony. It is not surprising that Kwarans and residents of the state have benefited more from federal government intervention programmes because the Ahmed-led administration has policies in place to enable smooth implementation of the programmes. The latest is the National Social Investment Programmes (N-SIP) introduced by the All Progressives Congress-led government under the leadership of President Muhammadu Buhari. Recall that the federal government earmarked N500billion for four N-SIP programmes: N-Power scheme, Government Enterprise and Empowerment Programme (GEEP), National Homegrown School Feeding Programme and Conditional Cash Transfer (CCT) for the common Nigerians. The Social Investment programmes are aimed at alleviating the suffering of the masses. The N-Power programme aims at empowering 500,000 youths both graduate and non-graduate with the view to reducing unemployment. About 10,000 youths in Kwara State were engaged in the first phase of the scheme where 200,000 volunteers benefitted nationwide in 2016 with monthly stipends of N30,000 while over 10,000 have been pre-selected for the second phase in the north-central state. The large numbers of beneficiaries of N-Power in Kwara could be attributed to the collaborative efforts of the state government. If not any other, the Special Adviser to Governor AbdulFatah Ahmed on Youth Empowerment championed the mobilisation of people to apply for the N-Power scheme. Findings revealed that over 100,000 out of the two million applicants are from the State, thereby increasing the number of applicants selected. Kwara State government and members of the State House of Assembly mobilised people to apply by sensitizing them and using different mass media channels to create awareness. Consequently, over 20,000 volunteers would definitely boost the state economy with N600million monthly with an assured multiplier effect. Similarly, in 2016, 10,700 households from 12 local government areas of Kwara State were enrolled under the Conditional Cash Transfer of the Social Investment Programmes. The state was selected alongside eight other for the pilot project and each beneficiary now receives N5000 monthly. 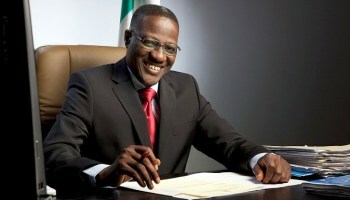 According to a statement released by the office of the Vice President, the nine pilot states were chosen because they have an existing social register that successfully identified the most vulnerable and poorest Nigerians through a tried and tested community-based targeting method working with the World Bank. Inferences from the statement show Kwara State government is proactive and ready to let their populace take advantage of available opportunities. Aside that, the Special Adviser to the Governor on Micro and Small Medium Entreprises, SMEs, has been working round the clock to sensitise SMEs in the state to request for loans through Government Enterprise and Empowerment Programme (GEEP). It would be recalled that Vice President, Prof Yemi Osinbajo while launching the MSMEs clinic last month announced that billions of naira will be made available to over 30,000 artisans, market women and other SME owners through GEEP. The efforts by Governor Ahmed’s foot soldiers in evangelising GEEP in markets, at artisans meeting, religious centres and other semi-formal gatherings have prompted many Kwarans to apply for the loan to expand their businesses. Worthy of mention is the fact that Maigida has set up a committee under the Ministry of Education to ensure the smooth take-off of the National Homegrown School Feeding Programme that would commence in January 2018. Without doubt, many people in the state would benefit from the programme. Parents of the benefiting pupils will save more money, others are going to serve as cooks and in the long run, contribute to the economic development of the state of harmony. Moreover, Governor Ahmed led administration has also created an enabling an environment for FG agencies/parastatals such as the Central Bank of Nigeria, Bank of Industry (BOI), and Bank of Agriculture to effectively discharge their duties. The state government recently facilitated a N2billion CBN loan for Shonga Farms Holding Limited while BOI has given about N20billion loans to Kwarans and residents in 2017. Farmers have also benefitted from various Federal Government interventions to boost agricultural activities in Kwara State. Without an iota of doubt, the state government deserves commendation for using various media channels to educate, inform and enlighten the populace when the need arises, one of which is the interactive session held on radio, tagged Governor Explains. Evidently, the synergy between Kwara State and Federal Government with her MDAs have created an enabling environment for businesses to grow in the state. The state is fast becoming an investment hub for local and foreign investors. This is laudable and deserves the people’s support for the government to do more. Oye Oyewale is a seasoned journalist and blogger based Ilorin.